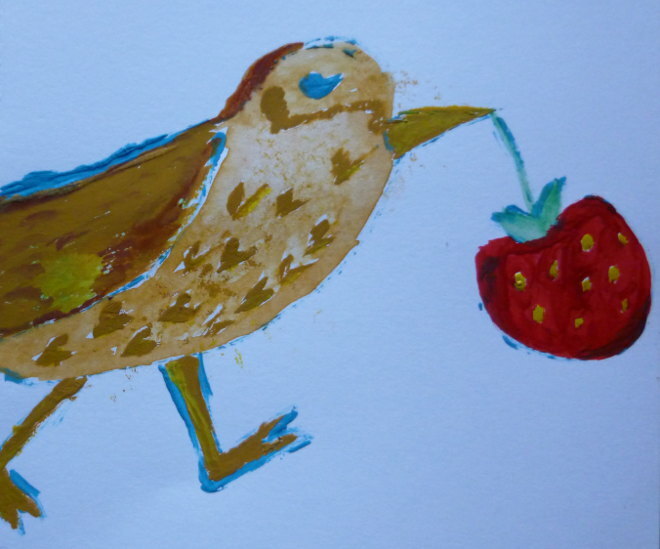 Just as the birds are dashing around celebrating the start of spring, my flock-infused tale Strawberry Thief has found a new home with the deliciously named Straylight Magazine, biannual literary magazine of the University of Wisconsin-Parkside. They say: “We look for innovative works of fiction, poetry, and art. Straylight takes pride in being on the edge of literary innovation.” So I’m feeling rather flattered. The story begins: The hide is empty but for herself and Jonathan. In the clearing beyond the small, wooden structure, birds cavort—more species than she can name. Jonathan would know them all. He understood their code of feathers and colors in a way she’s never been able to grasp. This entry was posted in Judy's writing and tagged Judy Darley, short stories, Strawberry Thief, Straylight Magazine by Judy. Bookmark the permalink.